If you read YA and like Arthurian legend, even a little bit, The Squire’s Tales series is for you. It’s a collection of (sometimes loose) retellings of stories from Mallory’s Le Morte d’Arthur, also drawing on other sources like Sir Gawain and the Green Knight, with some original characters thrown in. And they’re a hoot! Morris plays with many of the ironies and paradoxes of the Arthurian world. 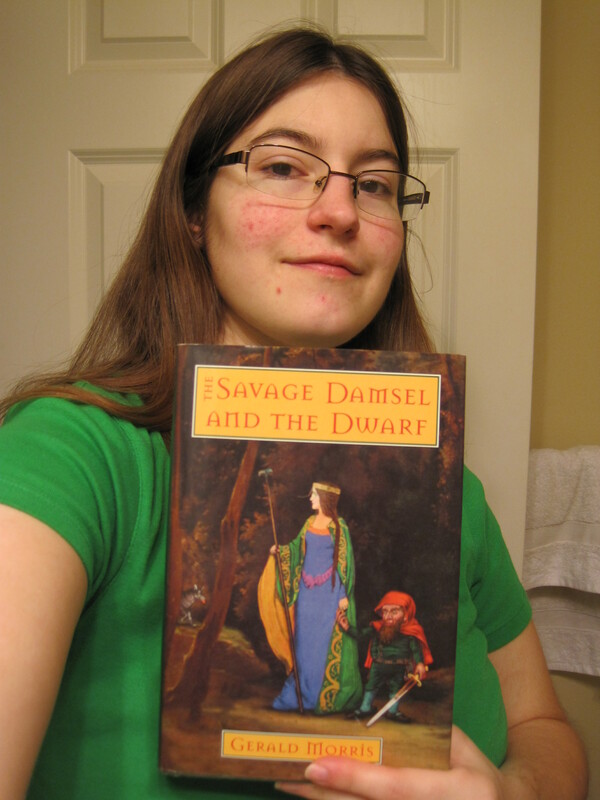 In The Savage Damsel and the Dwarf he explores the defense of honor and the treatment of ladies.